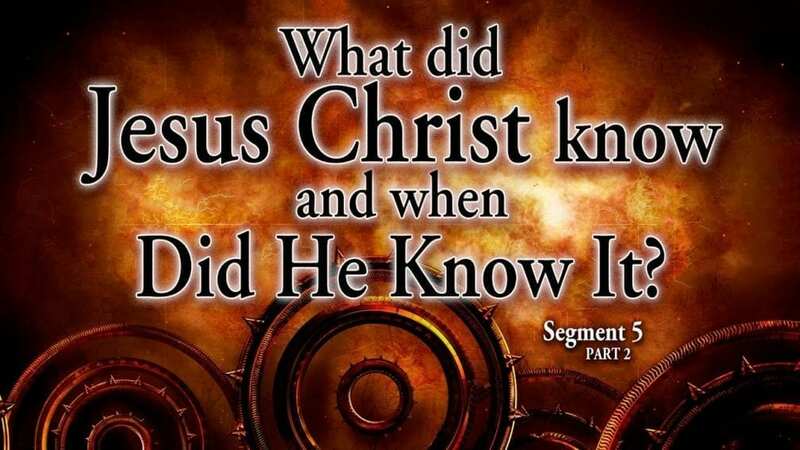 Segment 5, Part 2: What Did Jesus Know And When Did He Know It? This scintillating segment exposits in detail the glorious biblical truth about the “administrations” in Scripture, and how there is a fine line between what parts of the Bible are written to whom: Israel, past and future, or Christians (the Body of Christ), present and future. Here we highlight the “Secret of God” that He hid from before the overthrow of the cosmos all the way until after the Resurrection of His Son, with whom He then excitedly shared it for the first time. What is it about that Secret that God could not tell it to Jesus during his lifetime on earth? Understanding that Jesus could know only what is revealed in Genesis to Malachi, and that everything he said was specifically to Israel, helps us make sense of four statements he made that did not come to pass as he said they would.